What is a Catholic Priest? What does a Priest do? 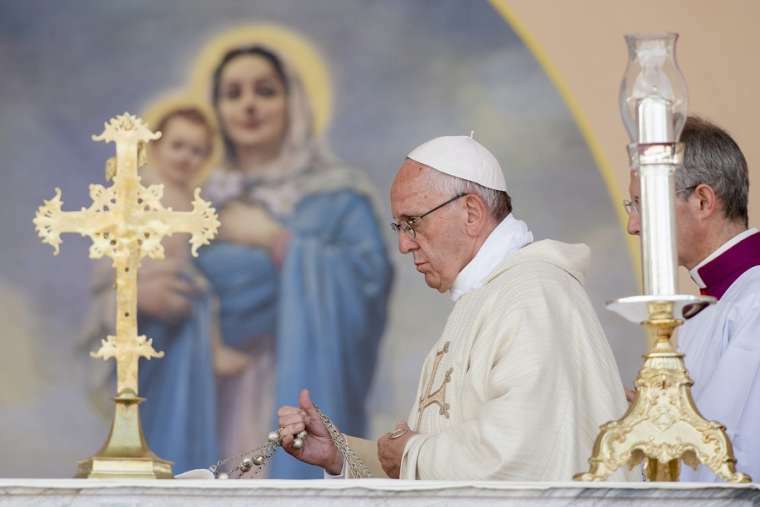 Vatican City, Mar 3, 2018 / 06:08 am (CNA/EWTN News).- On Saturday, the Vatican announced Pope Francis’ decision that the Church celebrate the Blessed Virgin Mary in her role as “Mother of the Church” every year on the Monday after Pentecost, as a way to foster Marian piety and the maternal sense of the Church. The decree establishing the memorial was published March 3 in a letter from Cardinal Robert Sarah, head of the Congregation for Divine Worship and the Discipline of the Sacraments. “This celebration will help us to remember that growth in the Christian life must be anchored to the Mystery of the Cross, to the oblation of Christ in the Eucharistic Banquet and to the Mother of the Redeemer and Mother of the Redeemed,” Sarah wrote. The memorial of the Blessed Virgin Mary, Mother of the Church, has been added to the General Roman Calendar, the Roman Missal, and the Liturgy of the Hours. The Latin text has been published, and the translations will be prepared by the bishops’ conferences and approved by the congregation. A celebration of a memorial generally means that prayers and readings specific to the day’s memorial are used in the Mass. The Marian title of “Mother of the Church,” was given to the Blessed Mother by Bl. Pope Paul VI at the Second Vatican Council. It was also added to the Roman Missal after the Holy Year of Reconciliation in 1975. Subsequently, some countries, dioceses and religious families were granted permission by the Holy See to add this celebration to their particular calendars. With its addition to the General Roman Calendar, it will now be celebrated by the whole Roman Catholic Church. In 2018, the memorial of the Blessed Virgin Mary, Mother of the Church, will be celebrated on May 21. Pope Francis has been a consistent and vocal personality in condemning the arms trade and urging world leaders to do the same, and he raised his voice on the issue again in his latest prayer video. “Is this war or that war really a war to solve problems, or is it a commercial war for selling weapons in illegal trade, and so that the merchants of death get rich?” he asks, as images of explosions and gunfire interchange with frames of the leaders shaking hands dripping with blood. 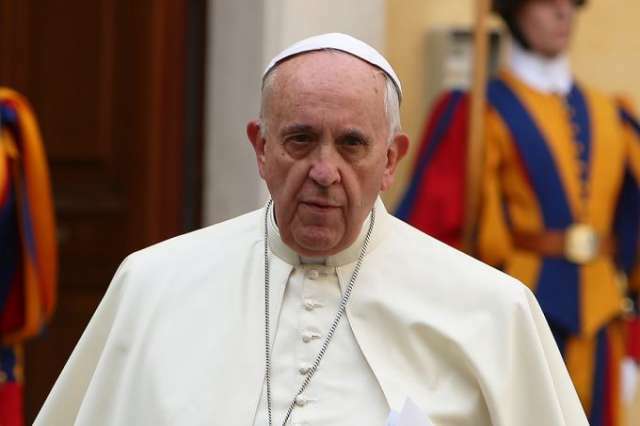 The topic is one Pope Francis has spoken out about since the beginning of his pontificate, and which he continues to bring up in any relevant occasion. In fact, the first line of the video is taken almost verbatim from the Pope’s May 2014 speech to seven new ambassadors to the Holy See who presented him with their credentials. He said the arms trade both complicates and distances us from finding solutions to conflicts, especially because “it takes place to a great extent outside the boundaries of the law,” and urged the new ambassadors to work toward eradicating the proliferation of weapons. “Sadly, the answer, as we all know, is simply for money: money that is drenched in blood, often innocent blood. In the face of this shameful and culpable silence, it is our duty to confront the problem and to stop the arms trade,” he said. In his Jan. 22 , 2017, speech to the Diplomatic Corps Accredited to the Holy See, he said part of the peace-building process means eradicating the causes of violence and injustice, one of which is the “deplorable arms trade and the never-ending race to create and spread ever more sophisticated weaponry,” particularly nuclear weapons. Coincidentally, the Pope’s prayer video was published just days before six countries decided to cut diplomatic ties with the Middle-Eastern country of Qatar over it’s alleged support or terrorism. On Monday it was announced that Saudi Arabia, Egypt, Bahrain, the United Arab Emirates, Yemen and Libya have severed diplomatic relations with Qatar over the terrorism problem, giving Qatari ambassadors just a few days to leave their countries. The move was made over allegations that Qatar is backing Islamist groups such as ISIS and AL-Qaeda, providing financial support despite recently joining the U.S.-led coalition against IS. Part of the decision also arose from concern that Qatar is getting too cozy with Iran, the growing regional rival of Saudi Arabia and which presents a significant nuclear threat. What progress will actually come from the decision to cut ties is unknown, especially since Saudi Arabia itself has also been accused by many neighboring countries of financially supporting ISIS. So while the long-term effects of the decision remain to be seen, the move seems to make Francis’ prayer intention all the more timely. His prayer videos first launched during the Jubilee of Mercy and are part of an initiative of the Jesuit-run global prayer network Apostleship of Prayer. They are filmed in collaboration with the Vatican Television Center and the Argentinian marketing association La Machi. The Apostleship of Prayer, which produces the monthly videos on the Pope’s intentions, was founded by Jesuit seminarians in France in 1884 to encourage Christians to serve God and others through prayer, particularly for the needs of the Church. Since the late 1800s, the organization has received a monthly, “universal” intention from the Pope. In 1929, an additional missionary intention was added by the Holy Father, aimed at the faithful in particular. Starting in January, rather than including a missionary intention, Pope Francis has elected to have only one prepared prayer intention – the universal intention featured in the prayer video – and will add a second intention focused on an urgent or immediate need if one arises. The prayer intentions typically highlight issues of importance not only for Pope Francis, but for the world, such as families, the environment, the poor and homeless, Christians who are persecuted, youth, women and a swath of other relevant topics in the world today. 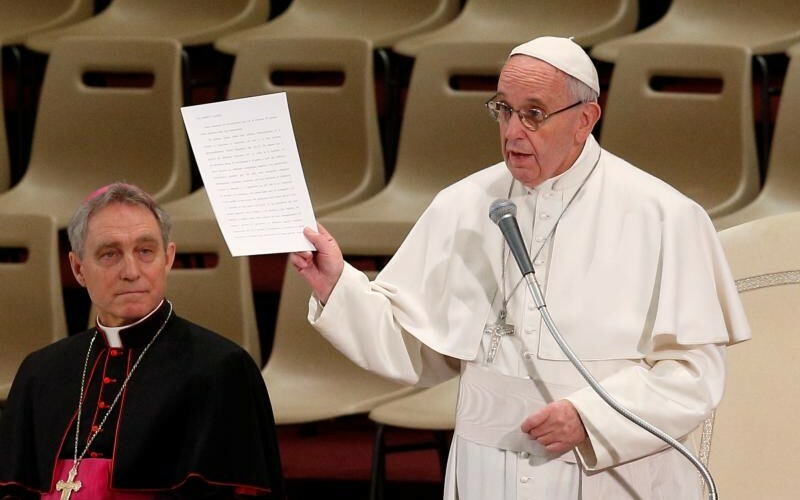 Respond to the crisis of vocations with intensified prayer, rather than despair or a lax admissions process, Pope Francis told women and men religious. But he warned against fast fixes, saying some religious “congregations experiment with ‘artificial insemination,’” in which they accept anybody, leading to a host of problems. The vocations process must be done “with seriousness, and one must discern well that this is a true vocation and help it grow,” he told members of religious orders, secular institutes and consecrated virgins on Monday in the Vatican audience hall.